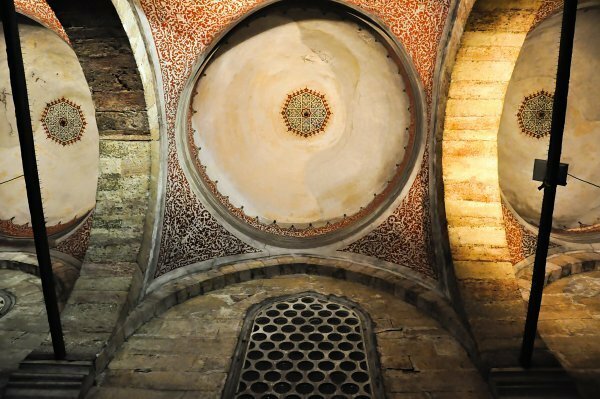 The Yeni Cami or Valide SultanMosque was ordered in in 1597 by the Sultana Safiye, wife of Sultan Murad III, and later Valide Sultan (Queen Mother) of Sultan Mehmed III. After 1603, the partially constructed structure gradually fell into ruins; and was severely damaged during the Great Fire of Istanbul. In order to cover costs of restoration and upkeep, the nearby Spice Bazaar was created. With 66 domes and semi domes in a pyramidal arrangement, the New Mosque dominates the skyline as you approach via ferry. 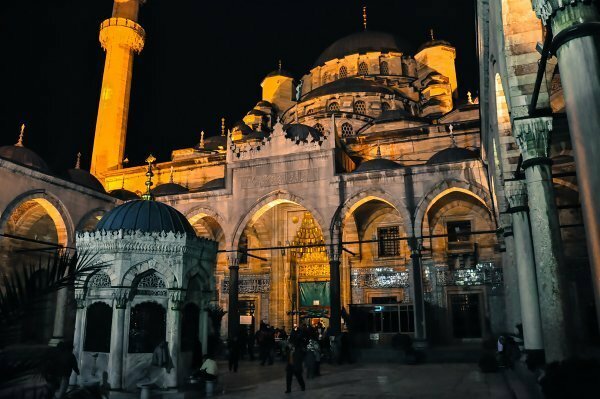 Although it is not as high up on the tourist list as the Blue Mosque; Yeni Cami holds a more peaceful and mystic aura.